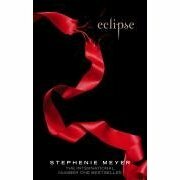 Eclipse by Stephenie Meyer – It's Time to Read! ‘Bella?’ Edward’s soft voice came from behind me. I turned to see him spring lightly up the porch steps, his hair windblown from running. He pulled me into his arms at once, and kissed me again. His kiss frightened me. There was too much tension, too strong an edge to the way his lips crushed mine – like he was afraid we had only so much time left to us. As Seattle is ravaged by a string of mysterious killings and a malicious vampire continues her quest for revenge, Bella once again finds herself surrounded by danger. In the midst of it all, she is forced to choose between her love for Edward and her friendship with Jacob – knowing that her decision has the potential to ignite the ageless struggle between vampire and werewolf. With her graduation approaching, Bella has one more decision to make: life or death. But which is which? 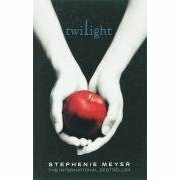 Following the international bestsellers Twilight and New Moon, Eclipse is the much-anticipated third book in Stephenie Meyer’s captivating saga of vampire romance. Well Meyer has done it again, created an amazing book. This is up there, equal to Twilight, the first in the saga. As always, Bella is hunted down by danger – one particular vampire intent on taking revenge; mate for mate. As Victoria builds up her army, Bella is faced with problems of her own. Edward wants to keep her safe – which to him means away from Jacob. It looks like she will have to choose – best friend or boyfriend? And on top of that, she has to decide if she wants to become a vampire. As vampires and werewolves unite against this new evil, we watch Bella struggle with love, friendship, danger and the prospect of immortality. I loved this book. Yes maybe it was predictible, but that did not spoil the story. It is written in a simple but engaging and fast-moving way. It is clear why this series is such a success. There is adventure, love, danger and awesome battle scenes, with the odd death along the way. This book is thrilling – energetic and gripping. And I found myself laughing in places too. My love for Edward continues in this book. He is dangerous, but so considerate and lovely. He adores Bella and will do all he can to keep her safe and happy. I quite enjoyed his battle with Jacob for her. I did think Bella was selfish, leading both on, and I didn’t like how Jacob played dirty, but actually that added to the depth of the book. And I liked the character Alice, Edward’s sister. She is a doll. She was the one who had me laughing – I want to know someone like her. I can only praise this book really. I loved it. I love the series. I am well and truely hooked and am looking forward to reading Breaking Dawn, the last in the saga. I recommend you read these books.